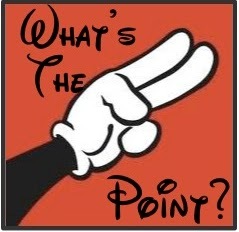 May 2012 | What's the Point? Did you know that there's no such thing as a "disabled guest" at Disney Parks? It's true. Not in a tongue-in-cheek way like the "nobody dies in Disney" rumor, but for real. Disney Cast Members are taught on DAY ONE of their employment with the Walt Disney Company that there are no disabled guests, there are only "guests with disabilities." This may seem unimportant but in actuality it is a critical distinction. At Disney Parks and Resorts the guest always come first. Always. If a guest has a special need that is always secondary. Every guest should be treated the same way. The "guest" part of you always becomes before the "disability" part of you. You are not defined by the fact that you have a disability. However, you ARE always a guest at a Disney Park, regardless of your disability status. Disney also doesn't make distinctions between disabilities that you can "see" and "invisible" disabilities. Stop by the Guest Relations at any Disney Park or Downtown Disney and explain your situation. Disney Cast Members will do what they can to help you. This also goes for guests with food allergies. Please note, I am not an expert on guests with disabilities at Disney. Check out this great website for more information and to assist guests with disabilities traveling to Disney Parks: Mickey's Fan Club. 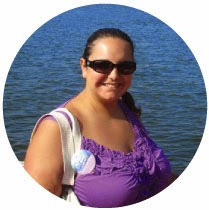 Also my friend Melissa has a fabulous blog, Disney on Wheels, where she features "Accessible Attractions" complete with photos and descriptions of special entrances and transfers for guests with wheelchairs. Disney Parks are for guest to enjoy... every guest, not just a few. Have a magical day! Welcome to those of you joining me from Capturing Magical Memories and those of you just hopping aboard. I am the 2nd stop on our Magical Blogorail and I am thrilled to be joining the talented and wonderful bloggers of Magical Blogorail Teal this month! 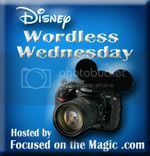 Today we are discussing what makes something "Disney." When I first heard of this topic I thought it would be easy to pinpoint. But instead I have found this to be a very difficult topic. When you think about all the companies that have tried to replicate the product and success of Disney and have failed miserably, it isn't surprising that I (a Disney fan and blogger) cannot pinpoint what makes something "Disney." 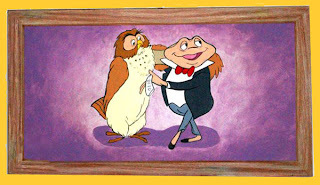 After racking my brain there is one glaring difference between Disney and everybody else. SERVICE. Instead of talking about everything Disney does right (impossible to cover in one post) I am going to focus on Disney dining. It's not a secret that I love good food. 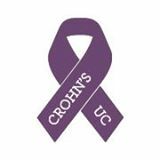 It also isn't a secret that I have ulcerative colitis and have certain food sensitivities. Before I go out to dinner at home, I usually review the menu online and try to find something bland to eat. However, I never really have to worry in Walt Disney World. Others, especially those who have severe food allergies and who suffer from penut allergies or diseases like celiac, must truly plan ahead. A small slip up can mean a ruined vacation at best, severe reaction at worst. Instead of leaving these guests hanging out to dry, they do their best to make their dining experience as seamless as possible. This is an effort that must be assumed by everyone in the dining process. This includes the person taking the reservation, the worker on the phone a week before the dining reservation that listens to the guest's special needs, the seating hostess, the waiter/waitress and the chef. Do you have a food allergy? Does your child? Take these steps to help the Disney Cast Members help you! Make your dining reservations as soon as possible. You can make Advanced Dining Reservations up to 180 days in advance. Do it! You can even make your ADRs online and list your allergies on the reservation. About a week before your visit, call (407) 824-596 or email specialdiets@disneyworld.com. In this situation, I prefer calling over e-mail but that's just me. Explain the allergy and the effect. They will even order special food to give you on your visit. Arrive at least 15 minutes in advance of your reservation. If you followed the above steps, the host/hostess should have all your allergy information. Go over it again with them. Go over your allergy with your server. They also should already have this information. THANK EVERYBODY. Be stern, do not feel bad about asking them to handle your food in a certain way. But be sure to thank these Disney Cast Members who are giving you this magical experience. I went for lunch at The Wave at the Contemporary a few years ago. At the time I was having bad reactions to certain foods. In fact, if I consumed so much as one sesame seed I would be in a lot of pain for a quite a few days. I asked my waiter (without doing any of the above steps) if a meal I was considering contained sesame seeds. After a few questions, the chef of the entire restaurant came over and addressed me. He explained how he prepared the entire dish. He offered some different ideas if I wanted something else. Finally, he thanked ME for dining at his restaurant. I have heard from several parents that cry tears of joy during every meal at Walt Disney World when they see their allergy-prone child eating like every other kid. I have heard from kids who said they finally felt "normal" when they ate at a Disney park or resort. This is not easy to accomplish. This takes a real effort by everyone invovled, from managers to bus boys, from waiters to seating hosts. But Disney's focus on safety and focus on service makes all the difference. A focus on service and safety makes a restaurant a "Disney" restaurant. Thank you for joining me today. 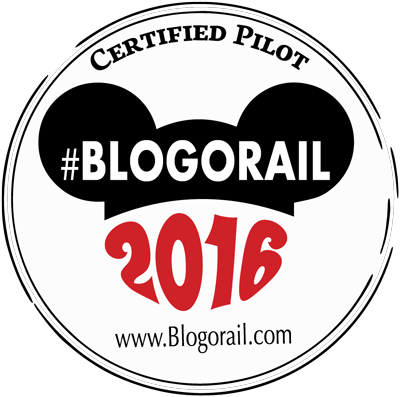 Your next stop on the Magical Blogorail Loop is YourFirstVisit.net. I've been thinking a lot lately about September 7, 1998. On that day I skipped into the Magic Kingdom with my family. It was our August/early September annual trip and we enjoyed our ten days at Walt Disney World every year. 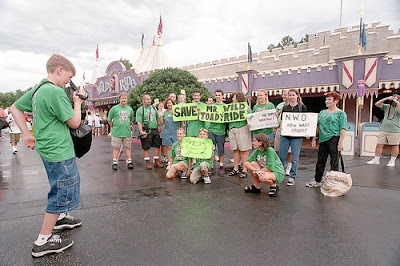 This time, however, when we entered the Magic Kingdom there were protesters. "What are protesters doing in the Magic Kingdom?" I asked my mom at the innocent age of 12. 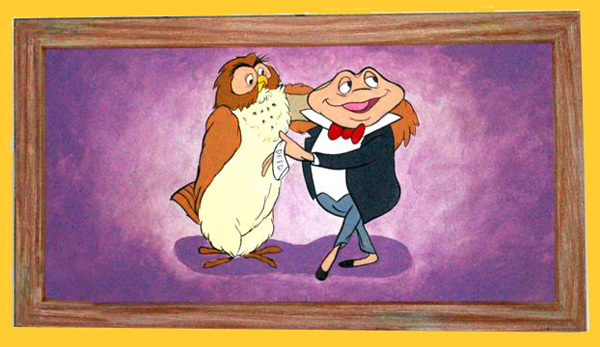 "They are saying goodbye to Mr. Toad's Wild Ride," she responded. "Why are they closing Mr. Toad?" I thought. My little brother and I loved it! My brother and I always "fought" for the "driver's seat." It was such a fun attraction! It was tradition! When Disney means more to you than a random vacation spot, attractions closing may be devastating. Disney World was never just a vacation to our family... it is our second home. I know a lot of my readers understand this sentiment. So when a part of your home is taken away it leaves you with an empty feeling. There is also the "Walt factor." 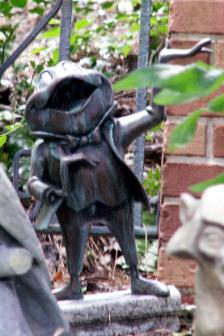 Walt Disney (along with the Imagineers) created Mr. Toad's Wild Ride for Disneyland. Every time a "Walt attraction" is removed or changed, Disney purists feel like there's a piece of Walt Disney taken away. At the end of this month Disney fans will have to say goodbye to another iconic attraction. Thursday, May 31, 2012 will be the last day to ride Snow White's Scary Adventures. While I understand how the protesters feel there is another side to this story. Because of the closing of Snow White's Scary Adventures we will have the opportunity to make new memories at the amazing new attractions that will encompass the fabulous new Fantasyland. ... old friends are NEVER really leave us. 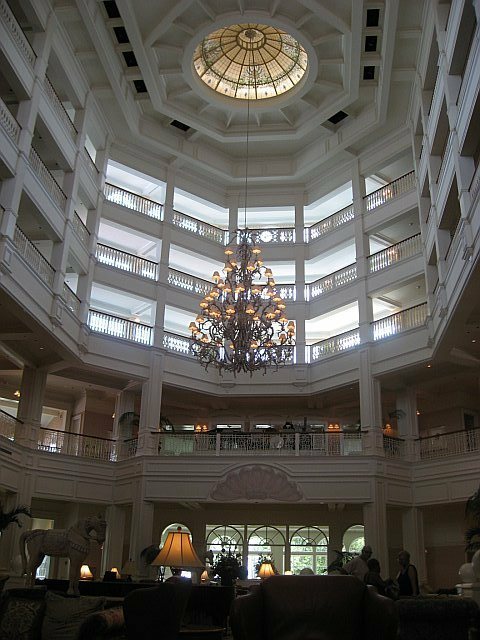 My family's favorite place to relax... Disney's Grand Floridian Resort and Spa lobby! aboard. I am the second stop on our Magical Blogorail. Today we are discussing our favorite Magic Kingdom lands. I, on the other hand, would always head straight to the right and over the bridge into Tomorrowland. Again, I'm not really sure. 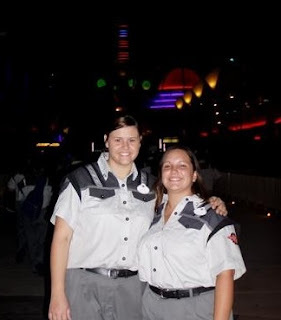 But when I started the Walt Disney World College Program in the fall of 2004, I was thrilled to find out I would be working somewhere in Tomorrowland. Tomorrowland is an eclectic land. It features eight extremely unique attractions. I cannot fathom going to Walt Disney World without a ride on Space Mountain. But while Space Mountain is an extremely popular attraction among guests, it is the lesser known attractions that I enjoy the most. The Tomorrowland Transit Authority (TTA, PeopleMover, etc.) is my favorite place to go after a long day. Need to put your feet up? There is no better place than the TTA. I've also heard it's ideal to put a baby to sleep! Long before Toy Story Midway Mania there was Buzz Lightyear's Space Ranger Spin. Call me sentimental, but I enjoy this attraction just as much as the highly sought after attraction at Disney's Hollywood Studios. I think it may be because I am a Galactic Hero here pretty regularly! For the purposes of this post I will pretend that Stitch's Great Escape does not exist? Agreed? What's your favorite part of Tomorrowland? Thank you for joining me today. Your next stop on the Magical Blogorail Loop is a guest of the Black Loop, Heidi's Head. Enjoy her unique perspective! Disney Pointers, can you believe it's already May? Almost time for summer at Walt Disney World! Something exciting is happening today at Walt Disney World! Starting today Disney is testing a "next generation" FASTPASS system. How does it work? Guests will be given an itinerary and a card embedded with an RFID (Radio Frequency Identification) chip. Based on this itinerary and the rides they have chosen beforehand, guests will be given time slots to return to the attraction. A swipe of the card will tell them if they have returned in their assigned window. Guests will be chosen to participate at random during the next couple of weeks. Just like you plan your dining reservations 180 days in advance, you will now be planning your park itineraries prior to leaving for your trip. Everything from your transportation from the airport, your dining, and the rides you will ride will be predetermined around the time of your booking. Sounds like a lot of planning, right? 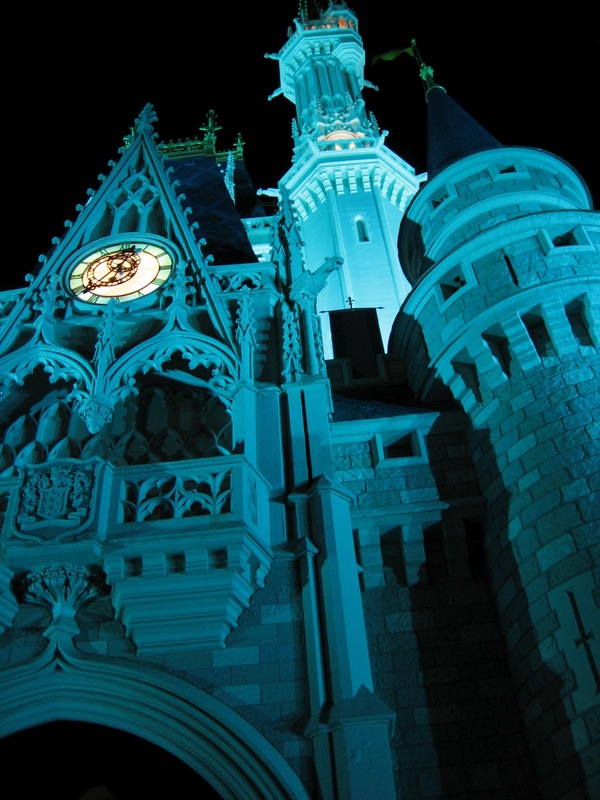 Now more than ever it is important to consult a Disney Vacation Planner like those at Glass Slipper Concierge. Glass Slipper Concierge is a Disney-specialized travel concierge service that offers meticulously-planned Disney vacations. Once this new FASTPASS system comes into play for all guests we will certainly be ready to plan every minute of your Disney vacation! Visit the Glass Slipper Concierge webpage or e-mail me at rosanne@glassslipperconcierge.com for more information. You can also visit Glass Slipper Concierge on Facebook. Remember to also follow The Disney Point on Facebook for daily updates. Happy May! Have a magical day!